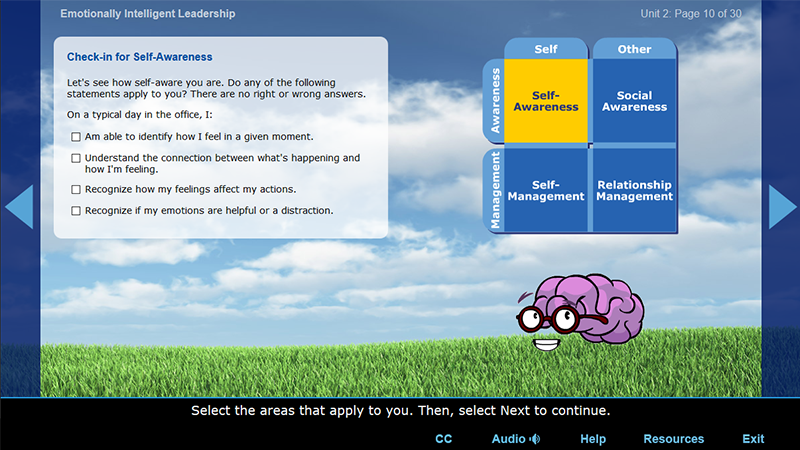 OPM’s goal for this course on emotional intelligence was to help Federal employees (especially managers) understand how emotions happen and build skills around managing those emotions in order to be a more effective manager. The big challenge of the project came in the need to engage a wide audience from different backgrounds. 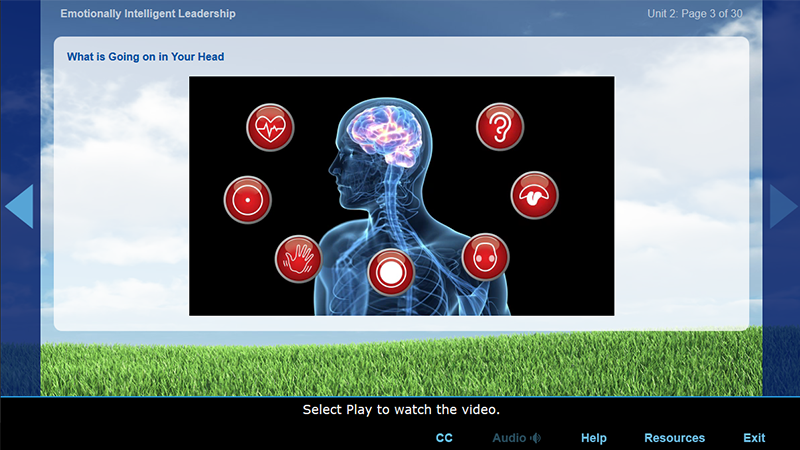 Since the majority of Federal employees are Myers-Briggs ISTJs who prefer concrete tools and practical information, we made sure that this course on emotional intelligence (a “touchy-feely” subject in some ways) foregrounded objective knowledge about how the brain works when it comes to emotion. 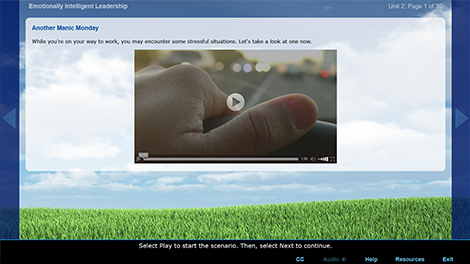 To this end, the course begins with a dynamic video (created by PowerTrain) that dramatizes a relatable road rage scenario and demonstrates how such an experience affects your brain chemistry — and in turn, the emotions you carry into the workplace. PowerTrain helped OPM fill an important need in the Federal Government by producing a highly impactful WBT, incorporating multimedia elements, high-fidelity simulations, and thoughtful interactions. 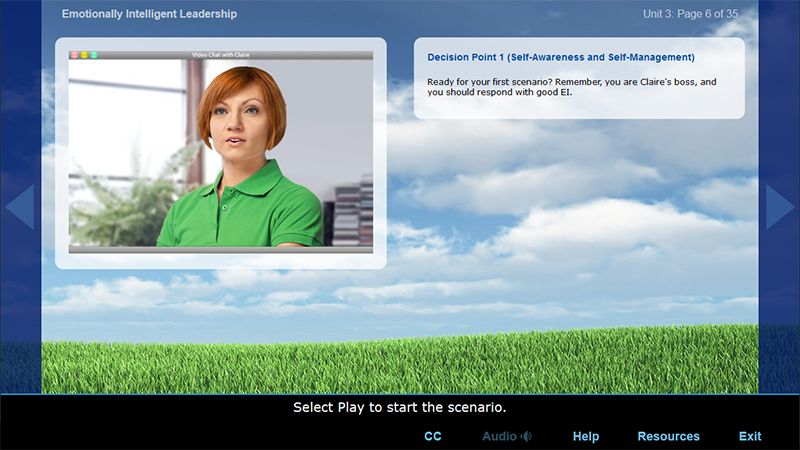 Emotionally Intelligent Leadership is a course that sticks with you — holding benefits far beyond one’s professional life.